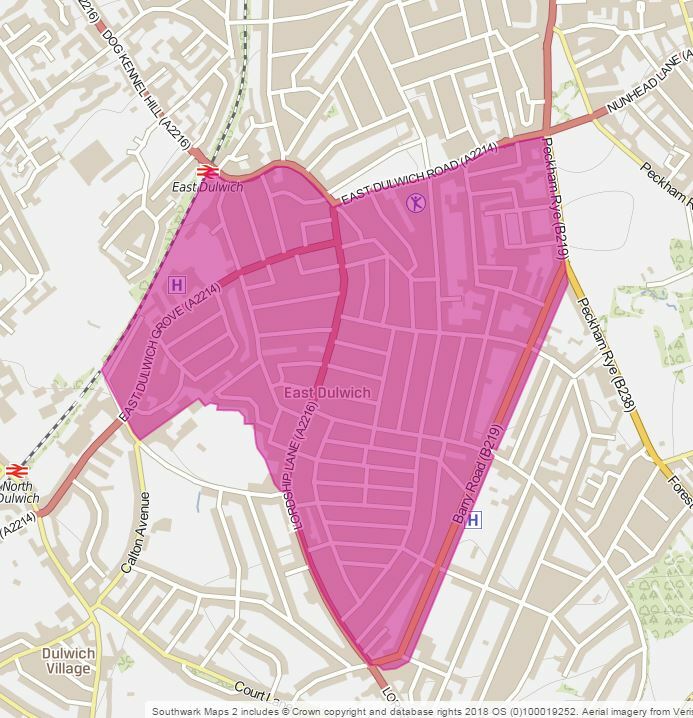 Southwark Council is conducting a parking and healthier streets study in the East Dulwich area, shown in pink below. We have received many requests for permit parking from residents in East Dulwich since 2015 and we expect parking pressure to increase with the adjacent Dog Kennel Hill parking zone recently implemented and should the 'Peckham West' zone to the North be implemented (also in consultation). Images below show examples of the current situation in East Dulwich and also double parking in the 'Peckham West' area soon after the adjacent Dog Kennel Hill zone was implemented. We are therefore carrying out a study on the potential introduction of a parking zone in East Dulwich, to improve parking for residents and support businesses while creating more healthy streets for people from all walks of life. We would like to hear your views on the proposals. Please read the background documents below and consider the proposed layout and preliminary healthy street imrpovements before completing the questionnaire online or by post via the freepost address, by 28 February 2019. The meeting will be chaired. The project manager will briefly present the proposals before taking questions. How can a controlled parking zone help?